So for this week’s installment of Vikki’s Musings I will piggy back off my last week’s post about my favorite comic book hero. This week I will talk about my favorite video game fighter. I have to be very specific about this as my favorite video game fighter is not the same as my favorite video game character. 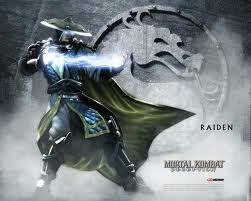 My favorite video game fighter is Raiden from Mortal Kombat. 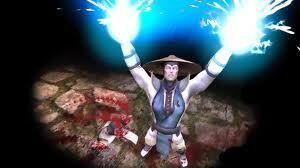 Now, please understand I do not specify which Raiden from which Mortal Kombat series but rather Raiden as a whole character. When I was young, my parents would take the family to go bowling and roller skating. As long as we did our required time of said activity we were allowed a roll of quarters and could play as many arcade games until our money ran out. 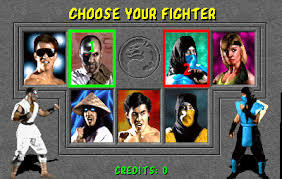 My older brother and I stumbled upon a new arcade game called Mortal Kombat. In the first game there was only like 8 characters to play. I decided to pick the guy that looked like a character from Big Trouble in Little China and the rest was history. My brother and I enjoyed hustling other kids on the game and the love of the series continued to grow from there. 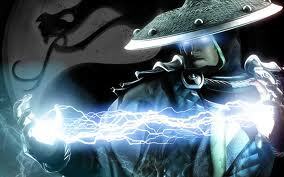 I enjoyed playing each edition to the series and even when the combos became ridiculous in some of the later installments, I still rocked with Raiden. 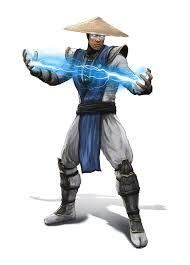 Raiden is a thunder god of the Mortal Kombat universe and protector of Earth Realm. He has many abilities such as teleportation, control over lightning, and flight. 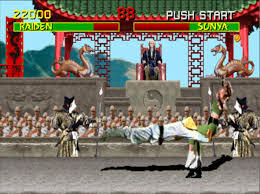 Raiden was invited to compete in the Mortal Kombat tournament from Shang Tsung. Raiden accepted the invitation and took human form in order to compete. I am fairly good with Raiden and enjoy competing with friends and family. Well not really family as my little brother is a beast and it is just not fun playing against someone you cannot win against. Welp, that was my favorite fighting character. What is your favorite character and why? Let's see Favorite Video Game Fighter I would have to go with Link. Why? Because he's Link and he's a badass Hylian, need I say more. Especially if we are talking Soul Calibur 2 and the Smash Bros series. Link is a true badass. I must agree with your assessment. Really an awesome game, thanks for mention.